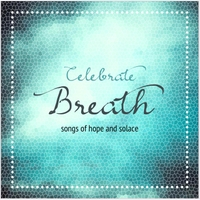 Comfort, relaxation, and uplifting music come packaged in the new CD Celebrate Breath featuring recording artists Todd Herzog, John Scott Adams, and vocalist Corrinne May. This is the twentieth in a series of Celebrate albums from Craig ‘n Co. and was co-produced by Kavin Hoo and Todd Herzog. I see this album as a musical journey listeners embark on. It is my hope that on this journey, they may find inner peace and a deep pool of joy in their hearts, and perhaps even an awakening in their spirituality and faith as well. Herzog said his heartfelt lyrics and melodic music were inspired by Hassidic spiritual leader Reb Nachman of Bratslov. The album features Warner recording artist Corrinne May on vocals and John Scott Evans on acoustic guitar. With ten tracks, the CD retails for $9.99 on CDbaby.com (http://www.cdbaby.com/cd/kavinhoo) and will soon be available on craignco.com and amazon.com.